Looking for the best ceviche in Lima? 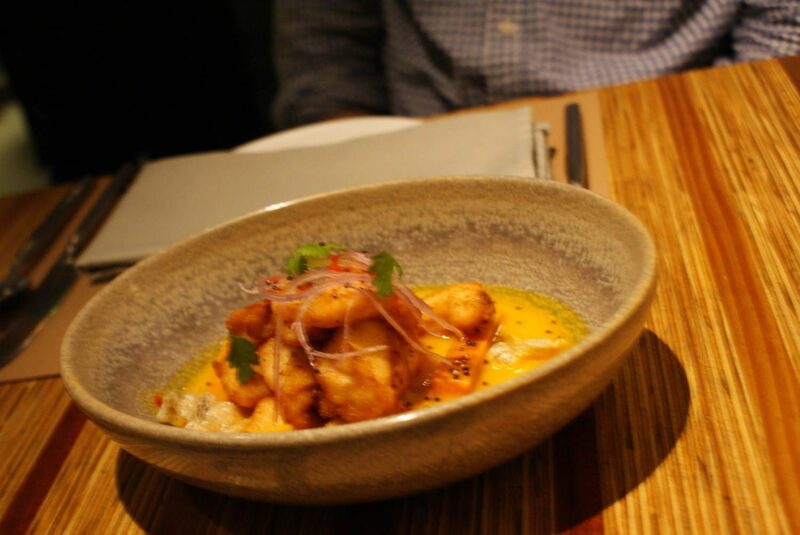 Peru’s flagship dish is found pretty much everywhere in the city and competition is fierce. 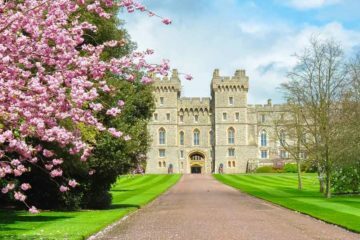 These are the places that you shouldn’t miss. 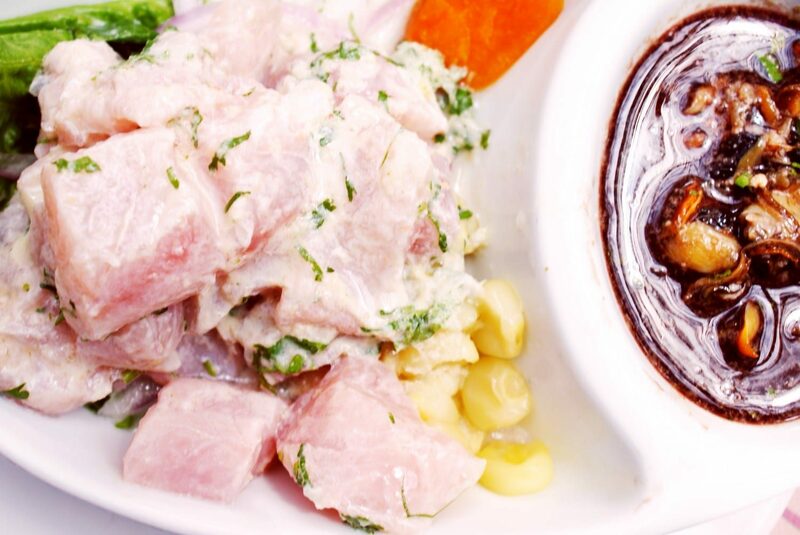 It’s not difficult to find ceviche in Lima, but it’s not as easy as you think to find the high quality ceviche that makes your tastebuds tingle and your stomach hungry for more. It’s no small feat to pull off the perfect ceviche. You need the freshest fish (ideally, the fish is used as soon as possible after coming out of the ocean). But that’s not all. You also need a deft hand with the simple ingredients that stop the dish from parading as a bland sashimi. Looking for more? Check out my full collection of Peru travel tips and guides. Let’s start with the best ceviche in Miraflores. 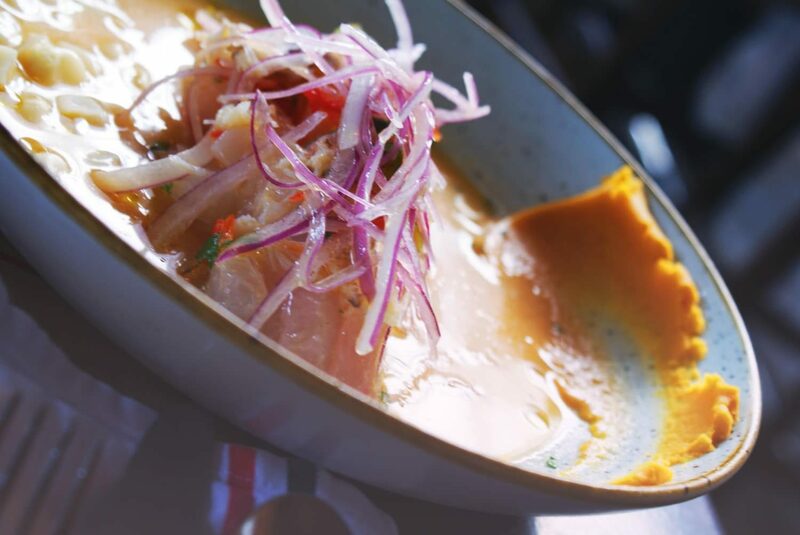 Miraflores is home to many of Peru’s best restaurants and some of Lima’s best restaurants – it’s a great place to start in your hunt for the best ceviche in Lima. El Veridico de Fidel is tucked down a quiet street on the outskirts of Miraflores. The ceviche at El Veredico is perfection, and a strong contender for the best ceviche I had on the whole trip. The fresh, fleshy fish was balanced with the tangy marinade and large pieces of choclo corn. The conchas negras (black clam) ceviche on the side was a revelation, intensely inky and sour and a stark contrast to the fish ceviche it accompanied. J opted for the classic ceviche, which was pretty similar to mine, except without the conchas negras ceviche on the side. Be warned, portion sizes are quite large. If you have the famous tiger’s milk soup for which the restaurant is renowned as a starter (and you should), you might want to think about sharing a main. Of course, like every self-respecting Peruvian restaurant, El Veredico de Fidel makes a pretty good pisco sour. What better way to wash down your meal? Like many ceviche restaurants in Lima, El Veredico de Fidel only opens at lunchtime. 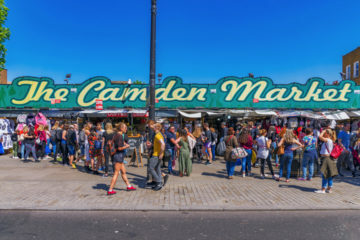 We snuck in on a Tuesday thinking that it was going to be relatively quiet but it was pretty busy – it’s clearly a popular choice with locals and for good reason. Open Monday – Sunday 12pm – 4pm. El Pez Amigo might be one of the best cevicherias in Lima, but it hasn’t lost any of its authenticity. 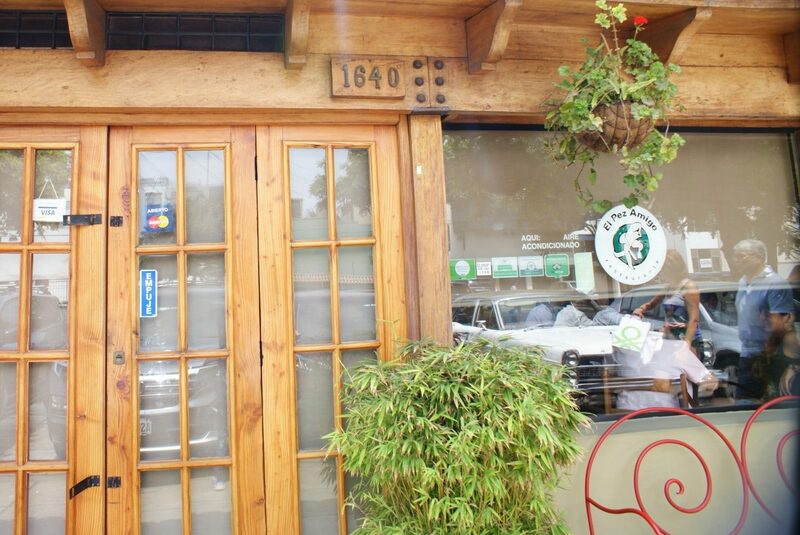 This small restaurant in a mainly residential area of Miraflores boasts some of the best cuisine in the city. Dishes have been honed over the 23 year period since it opened. I’m not sure if this restaurant is really the fish’s friend (I wouldn’t be so keen on any friend that chopped me up into small pieces and marinated me in lime juice for consumption) but the menu and the food pay testament to the fact that these guys know their fish. The ceviche is outstanding, small pieces of sea bass, accompanied with the juices and some lightly marinated seaweed, plus the ubiquitous choclos corn and sweet potato. The ceviche walked the fine line between spiciness and sourness that marks a well-made dish. 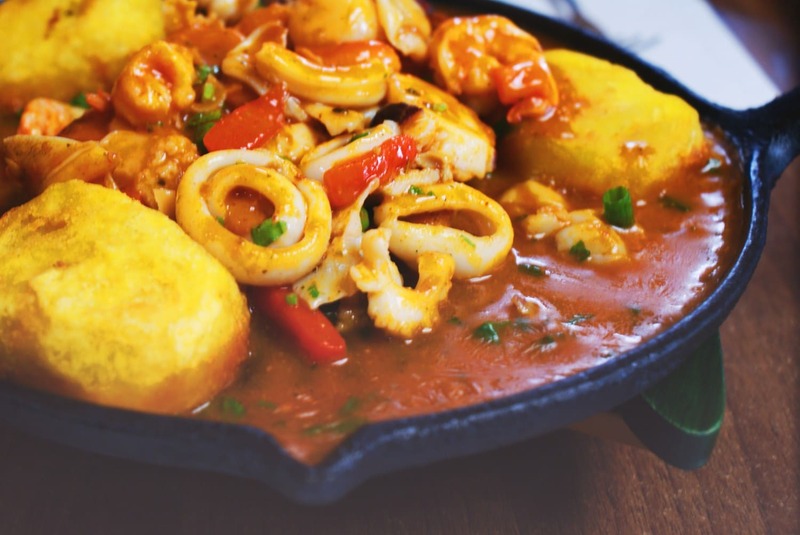 While the ceviche is wonderful at El Pez Amigo and another real contender for the title of best ceviche in Lima, you should try some of the other dishes on the menu. 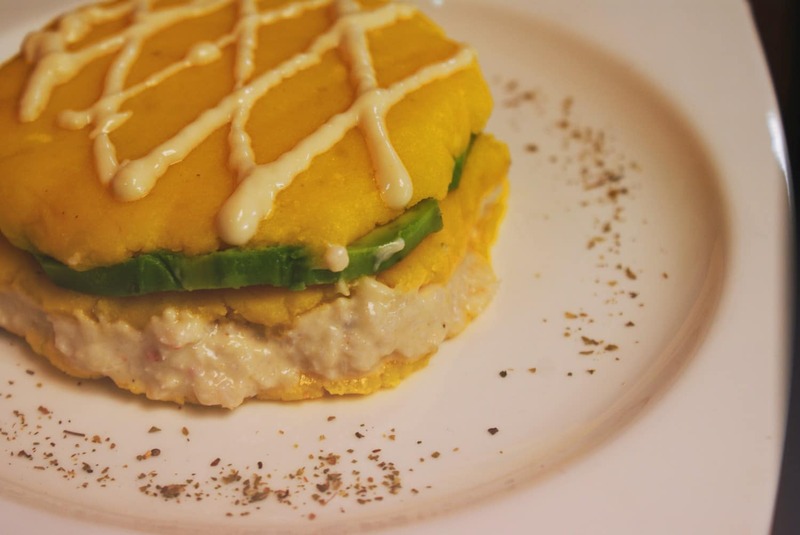 The causa, in particular, was an eye-opener. It sounds a bit bland on paper doesn’t it? Potato with avocado and a crab mayonnaise filling – but in reality it was anything but bland. The creamy crab mayonnaise and avocado were complemented by the seasoned mashed potato. Who knew a potato terrine would be so tasty? Other highlights included the volcan de mariscos, a hot dish filled with mixed squid, prawns and fried fishcakes in a mildly spicy tomato sauce. 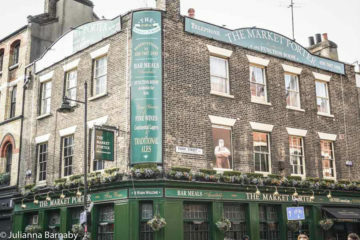 Open Monday – Sunday 12pm – 5pm. A bit more upmarket and modern than the other two on the list so far, El Mercado is the epitome of Lima-cool. Chef Rafael Osterling works his culinary magic in an expansive restaurant in Miraflores. If you are planning on visiting El Mercado, I’d recommend reserving a table. We turned up without one on a Sunday lunchtime and it was touch and go whether they were going to be able to find a table for us. Still, it gave us time to have a few cocktails at the bar. 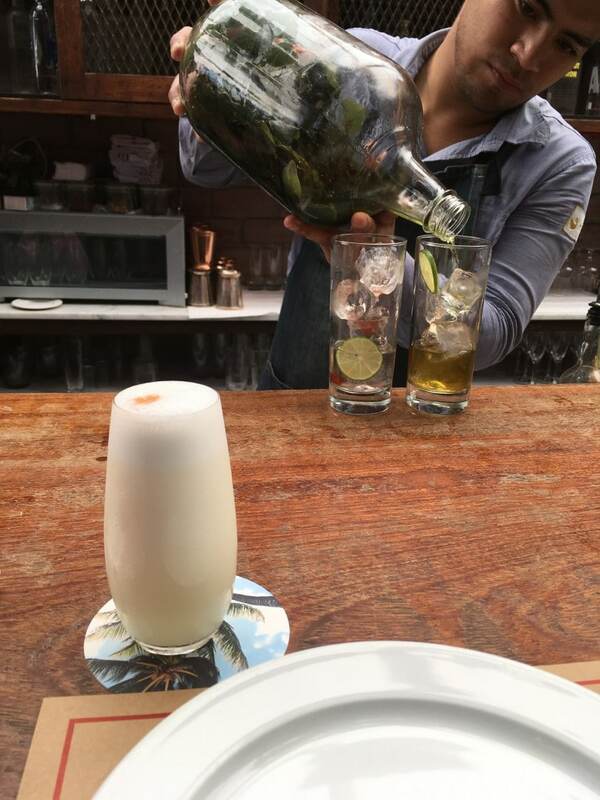 The pisco sours are expertly made – of course. I also went a bit off piste and tried the Bloody Mary Wake Up, a very drinkable combination of pisco, tomato, tabasco, Worcestershire sauce, scallops and leche de tigre. There are quite a few ceviches on offer at El Mercado, each with different fishes or seafood and complementary ingredients. Of these, the Ceviche Galactico stands out. The commonly used sole is paired with scallops and comes in a spicy pepper sauce. No, it’s not a traditional ceviche but it showcases a unique combination of flavours that really stood out from the other dishes. If the ceviche is the star of the show at El Mercado, it is accompanied by a very talented lineup of dishes. 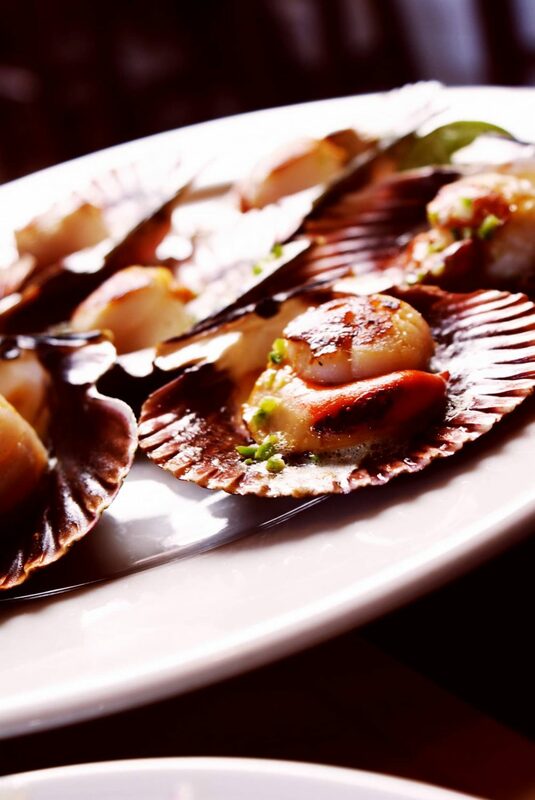 The grilled scallops, cooked in their shells on the open grill were plump and bursting with flavour – the perfect example of why Osterling is well-known as one of the best chefs in the city. Cosme is the kind of hipster-chic restaurant you can find in many spots around the world, but with a unique Peruvian twist. 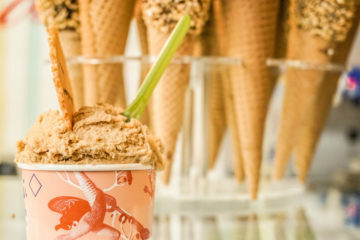 Don’t come here if you’re looking for traditional Peruvian dishes, the menu at this San Isidro hotspot is best described as international eclectic and features a range of unusual but delicious dishes. The ceviche at Cosme is an altogether unique affair. Head chef James Berckemeyer has taken the traditional dish and made a few significant changes. It’s cooked and served hot for one and also comes in a thick and piquant sauce. If you’re willing to be open-minded and don’t get too caught up on the fact that yes, the dish is cooked, you’ll appreciate the balance of textures and flavours that make Cosme’s ceviche such a success. Open Monday – Saturday 12pm-12am, Sunday 12pm-4pm. Punto Azul came up a few times when I was researching places to try for this article and is the only ceviche I had in Lima that was distinctly lacklustre at best. The food was disappointing, the restaurant was overcrowded and the service slow. I was starting to get a bit blasé about the amount of great ceviche Lima has to offer until I came to Punto Azul and realised that though it’s a simple dish, it’s a difficult one to get right. My advice? 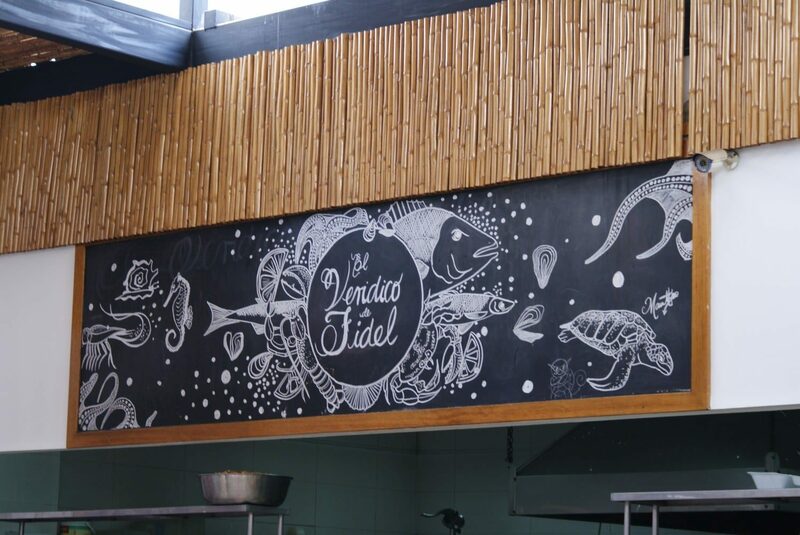 Give it a miss and try one of the many, many other places in the city serving up better ceviches in nicer surrounds. Looking for more Lima travel inspiration? Check these out. So glad you liked the piece. I absolutely loved the food in Peru and ceviche was my very favourite. So delicious ? These pictures had my mouth watering! I’ve had ceviche from Mexican restaurants in California, but I don’t think those would compare to the dishes you had in Peru. I’m literally contemplating going to Peru JUST for the food. You should definitely go to Peru! I wasn’t that excited about visiting Lima until I got there and realised it’s a cool city with AMAZING food. Glad you liked the piece. You take really great food pics and now I’m super hungry. Need to book a ticket to Peru!! The pictures really say it all. This is making me hungry! 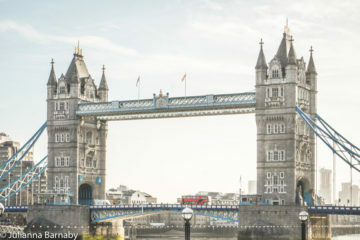 A real pleasure – it’s a cool city and I loved the food! I’ve never heard of Ceviche before. I do love fish though. The fresher the better. I would definitely love to try one. Hopefully sometime soon. 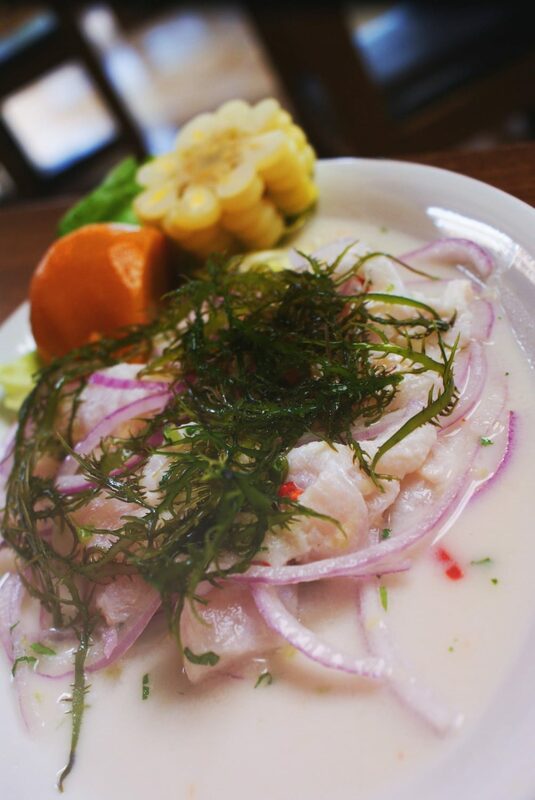 You took on a “huge” task narrowing down to the best cevicherias…not easy to all! Love the ceviche in Peru. When I was there over a year ago, I ate mostly in the Lince barrio and actually liked very much ceviche from Punto Azul in Lince! 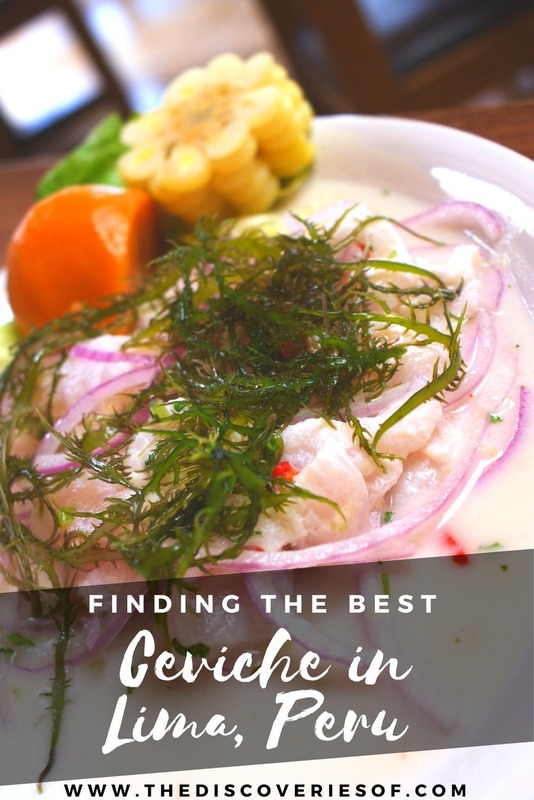 In any case, you can’t miss ceviche in Peru and this is a nice list. Amazing pics!! I really did – but the research was pretty tasty ? so no complaints! It was really hard narrowing it down though! Ah, I didn’t try that one so maybe it was the Miraflores one. Thanks and I’m glad you enjoyed!! I grew up in a landlocked country so I’m now trying to make up for the lack of seafood in my childhood ? Ceviche looks jyst so delicious! Thanks for the roundup! A real pleasure. I was never allowed to eat raw fish as a kid, ceviche is the nicest possible adult rebellion ? thanks for the comment!